Growth APK for 2018 was 2.3%. This was announced by Deputy Minister of agriculture of Russia Elena fastova, speaking with a report on state support of agriculture at a roundtable on "New directions and funding opportunities in the agricultural sector", which was part of the 10-th International agricultural conference "Where the margin 2019"
Elena fastova said that the results of the all-Russian agricultural census 2016 was adjusted in the direction of reducing the volume of production in farms of the population, in this connection, according to preliminary estimates from Rosstat, in 2018 production growth of agricultural products is not expected. In General, agriculture in the past year the growth amounted to 2.3%. 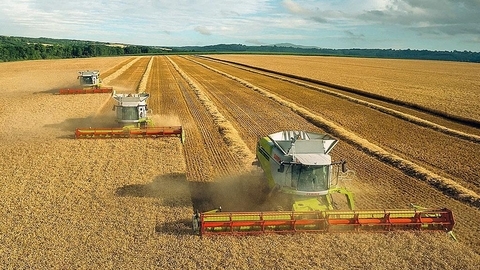 Speaking about the development dynamics of agriculture, Elena fastova noted that in the period from 2007 to 2017, the agricultural production in current prices increased 2.7 times, from 1.93 trillion rubles to 5.12 trillion rubles. While the average annual increase over this period was 3.5%. According to the Deputy Minister, in 2019 for the implementation of the State program of development of agriculture provided and 303.6 billion (in 2018 254,1 billion). The order of granting of means of the Federal budget made some changes which require adjustments in approaches to the use of a "single subsidy", a subsidy for compensation of direct costs incurred (Capex), as well as in the field of insurance with state support and the unrelated support in crop production. In addition, this year in the framework of a "single subsidy" is allocated a separate limit on the support of insurance in the amount of 1.49 billion rubles. For regions that have committed to subsidize this direction, the limit is increased, and refused reduced. Also during the conference, Elena fastova spoke about the improvement of the mechanism of preferential crediting. So, added a new target direction in short-term loans: acquisition of milk-raw materials for the production of dairy products, cottage cheese and cream cheese, as well as providing soft loans for the purchase of grain from farmers in the Siberian and Ural Federal districts for the milling industry.